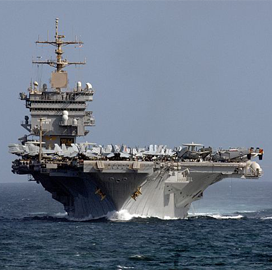 Huntington Ingalls Industries‘ (NYSE: HII) Newport News Shipbuilding division has received a $228.8M contract modification to obtain additional materials necessary to build a third Gerald R. Ford-class aircraft carrier for the U.S. Navy. The modification expands the scope of a previously awarded contract for USS Enterprise (CVN 80) long lead-time items, the Department of Defense said Thursday. The service branch will initially obligate $132.9M in fiscal 2018 shipbuilding and construction funds. Newport News Shipbuilding will perform work under the modification through January 2023.